Ultrasonics World Group is a group of companies around the world engaged in Research, Development and Production of technology-intensive ultrasonic equipment. 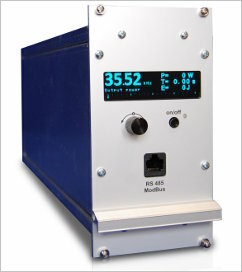 The major line company activity is production and sales of different purpose ultrasonic systems. Applications include stimulation of oil and gas condensate production, liquid metal processing and the more conventional industrial applications such as cleaning and welding. 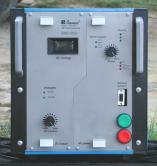 The group has extensive experience in the use of ultrasonic technologies. We have our own acoustic design department, production capacity of ultrasonic generators, transducers and high precision mechanical operation facilities. We have made great advances in production of powerful ultrasonic generators and transmitters based on piezoelectric transducers. Our ultrasonic transducers - designed and manufactured in-house - work efficiently at great depths and high temperatures. Est un groupe international spécialisé dans le domaine des Ultrasons de forte puissance, qui a été fondé, pour être à l’écoute des clients afin de résoudre les applications les plus diverses. L’expérience d’ULTRASONICS WORLD GROUP et notre réactivité, permet à ses filiales, entreprises et partenaires de pouvoir proposer des services de qualité et des prix intéressants. Toujours à la pointe de la recherche et de développement, ULTRASONICS WORLD GROUP reste un leader dans son domaine. Ultrasonic intensification for improved oil and gas recovery - an advanced, reagent-less, geophysical method of controlled and selective stimulation for the intensification of the tributaries (throttle response) and enhanced oil recovery, applicable in a wide range of geological technological conditions. Specialises in plastics assembly applications. Our experience and know-how since 1986 makes us the leader in this field. Offers a complete solution for Acoustic Resonant Inspection, including feasibility study and parts analysis, design and installation of automated test line and fixture for part loading/unloading, calibration and training. 100% inspection - accurate, reliable, repeatable. Improve homogenization and mixing – Improve crystallization – Reduce friction – Improve material flow – Improve surface finish – Reduce or eliminate voids and cavities. High power ultrasonic massager for fast Pain Relief of rheumatic and sports related injuries, deep massage, weight reduction, skin repair and softening, brain fitness and relaxation. MPI Ultrasonics is the place to source top-quality, high power Ultrasonic Converters. Your first choice for Ultrasonic Equipment online. SONOWELD ultrasonic power supplies can drive almost any piezoelectric ultrasonic transducer from any supplier with the ultimate in flexibility and automated control options. Copyright ©2010 Ultrasonic World LLC - All rights reserved.